Our principles are reflected in our business practices and in our membership policies. We donate time and services to local causes, we offer community outreach programs, as well as offer reduced rates to teachers, police officers, firefighters, and soldiers, recognizing the contribution that these individuals make in our community at large. While it is a common practice in the martial arts field to solicit contracts for extended periods of time, it is our belief that individuals should train in martial arts as long as they are receiving value from their training. Therefore we do not use contracts for terms of service, rather we utilize the EFT process to collect funds on a month by month basis. You, the student, are in charge of your tuition and your commitment to martial arts. We have a history of enjoying long ongoing relationships with our students. Because we are committed to helping each student get the most from their training, we find that most students also commit to getting the most from their training. If outside events arise, or the student moves away, that is all a natural process of life and we will be here when the student wishes to resume training. We have had more than one student return after a multi-year absence and resume their training. Some of them are currently here training again and enjoying their resumed progress! 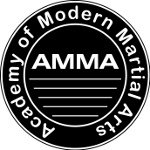 All of the Rank Advancement at the Academy of Modern Martial Arts is based on actual competency. There are no pre-set amounts of time that a student must remain at a given rank before testing for their next rank, therefore no student will be held back when they are ready to move on. Also no student will be tested and advanced before they are ready and actually competent with their material. Every student comes in with various resources and strengths. Each student will advance at their own pace in a manner that is appropriate for the individual. Our staff will assist each student in becoming confident with the material each student will need to succeed and each student will advance when they are ready. Another common practice in martial arts field is charging a regular tuition and then charging additional test fees to each student before they can advance and learn new material. At the Academy of Modern Martial Arts we do not charge separately for test fees. It is our belief that a student's advancement should not be a financial issue for the student, or a financial motivator for the school. This way there are no hidden or unexpected fees. The only other costs associated with training at the Academy, besides your tuition, is the student's personal items such as their uniform and sparring gear when appropriate. The Academy will even purchase your Rank Advancement belts for you, after all you can be confident that you will have earned it. Families are the core of every community. Families that train together experience many rewards and advantages that come from sharing a common language and learning new ways to handle conflict as a group. 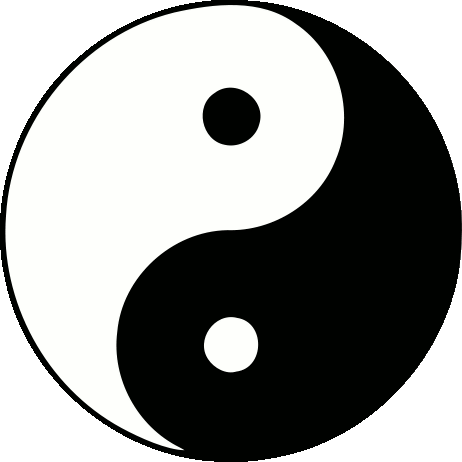 For this reason the Academy of Modern Martial Arts has a standing family discount policy offering a reduced rate for two members of the same family and one low price for three or more family members training in group classes. Experience for yourself the advantage of training together as a family. In order to recognize the tremendous contribution that teachers, police officers, fire fighters, and soldiers make on a daily basis in the lives of those around them and the community as a whole, the Academy of Modern Martial Arts offers a reduced rate to individuals currently active in those fields. Every industry has its proponents of aggressive high pressure, “Buy now or the deal wont be here tomorrow” sales tactics, our industry is no exception. We prefer a different approach that respects the intelligence of the individual. We believe in accurately informing everyone of what we do. We are confident that with enough information, everyone can make the appropriate choice for themselves. We allow everyone to try a complimentary class free of charge and free of pressure so that each individual can discover for themselves if we are the right choice for them. If you ever need more information, please ask us. We are very proud of our programs, our instructors, and our students. All of them speak for themselves. If this website is a starting point on your journey, please feel free to check out other schools and approaches. We'll still be here. We believe whole heartedly in everyone making informed and considered decisions. We want all of our students comfortable and confident that they are in the right place for them. There comes a time in everyone's training when they seem to hit a wall, encounter difficulty or begin to feel bored. Even those of us with great instructors feel our focus begin to wane from time to time. When it happens it is time to refocus. To look back on all of your accomplishments that have occurred already, notice how far you have come, and take a moment to appreciate just how much that means to you. All results require the application of attention over time. There are no short cuts to self development and personal refinement. The closest thing to a short-cut is a wise mentor or teacher who can direct your focus to the place that will yield the greatest or most effective results. There is nothing wrong with feeling unmotivated some of the time. Let us know where you are at. We may be able to help, or offer alternate suggestions that may be exactly what you need. Sometimes it is simply time to go. Life or circumstances conspire to take you away from training for a while. Simply let us know prior to the beginning of the month. That's all. We will be appreciative of the time you have chosen to train with us, curious to know if we could improve your time with us in any way, and wish you well as we look forward to seeing you again. The Academy reserves the right to refuse service to anyone. We believe it is our responsibility to refuse service to anyone who abuses their martial arts training or whose conduct is detrimental to themselves, their classmates, or their community. Learning martial arts is a privilege reserved for those individuals who conduct themselves with respect, integrity, and responsibility. Responsibility and safety go hand in hand. It is imperative that those learning martial arts skills act accordingly. Only those students able to follow guidelines, train safely, and treat themselves and others with respect will be allowed to train at the Academy.